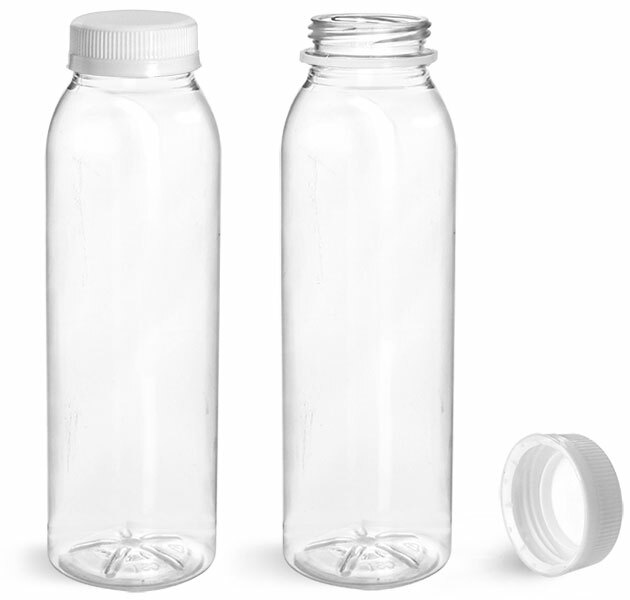 For a variety of healthy all-natural fruit juice drinks, choose clear plastic beverage bottles with white tamper evident caps. 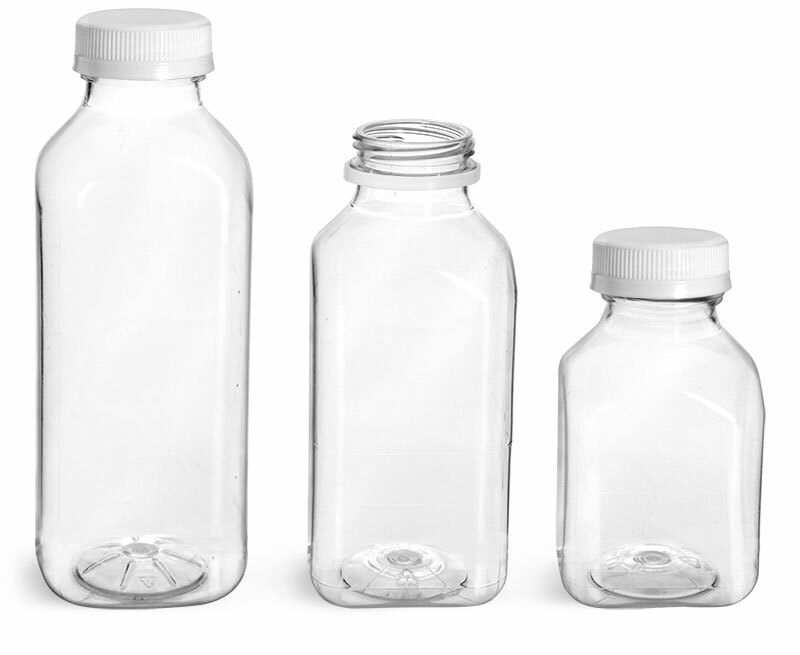 The durable PET construction lets customers take your premium juices almost anywhere without worry of shattering. 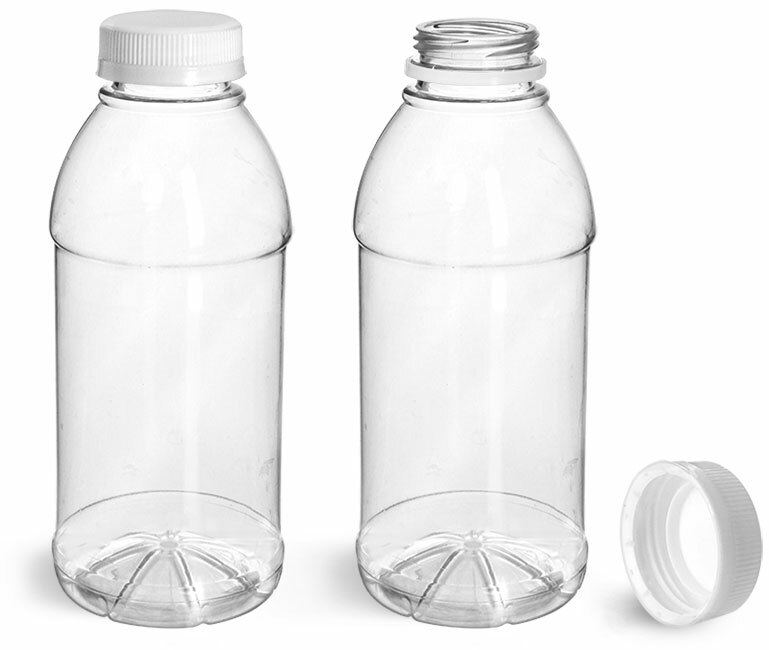 Tamper evident caps provide a clear indication when the plastic bottles have been previously opened, assuring your customers that your juice drinks are fresh at the time of purchase. 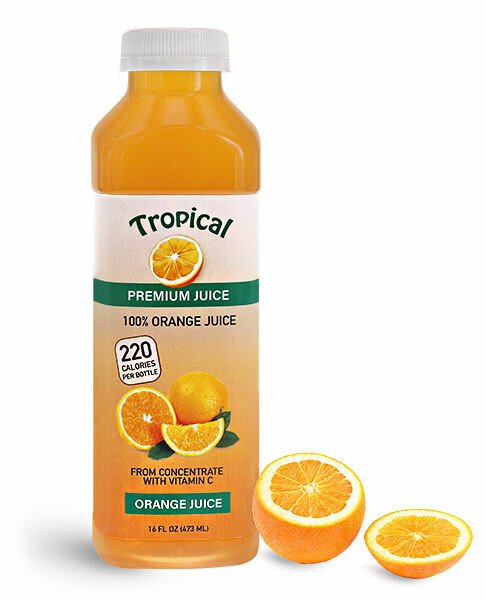 The plastic orange juice bottles are durable, FDA approved, and BPA free, allowing for the creation of full beverage product lines with ease.